Addiction affects everyone, of every race, gender, age, and socio-economic status and touches us all in one way or another. Gov. Chris Christie and the legislature have worked together to identify and advance positive solutionsto help the growing number of New Jersey residents dealing with addiction. We are grateful to have leaders who understand that addiction is a disease -- not a behavior, choice or moral failure. Education, prevention, and treatment -- deployed together in a holistic strategy -- give us the best hope for getting the crisis under control. Horizon Blue Cross Blue Shield of New Jersey has long recognized this reality and adopted early on a comprehensive and integrated approach that treats opioid addiction as we do other chronic diseases and health crises. For more than a decade, Horizon BCBSNJ has supported the Partnership for a Drug Free New Jersey's efforts to produce hard-hitting anti-drug media campaigns, deliver workplace, school and community-based educational programs, and fund long-term research through the New Jersey Center for Prevention Research. Early and frequent education about the dangers of drug abuse and the devastating effect of addiction has been proven to have a positive impact. We host and sponsor educational opportunities for doctors and pharmacists to promote opioid management best practices. Analysis of claims and prescriber data helps us identify patterns that indicate misuse or over-prescribing of opioids and discuss specific cases with physicians. Doctors are notified, for example, when their patient obtains opioid prescriptions from another prescriber. For members who are on high doses of pain medication our medical staff works with treating physicians to ensure that care is coordinated to avoid the over-prescribing of opioids. Roughly half of those with addiction also suffer from a mental illness, so Horizon BCBSNJ is integrating medical and behavioral care to address the underlying mental health problems that often go undiagnosed, untreated and lead to substance abuse. We're proactively engaging our members by funding community health workers, recovery addiction specialists, and intensive case management professionals. Like diabetes or cancer, addiction is a lifelong disease that requires a commitment to long-term management. The science of addiction treatment is still comparatively young, so determining the right course of action isn't always easy, but as with other medical therapies, Horizon BCBSNJ uses evidence-based national practice guidelines established by recognized, independent organizations - the American Society of Addiction Medicine in this case - to guide our treatment plans. Addiction professionals say, "If you've treated one addiction case, you've treated that addiction case." Patients are unique and respond differently. Thankfully, evidence-based treatment options now exist to meet those unique needs and getting help is easier than ever. We've made progress, but it's clear that winning the battle against opioid addiction requires more. 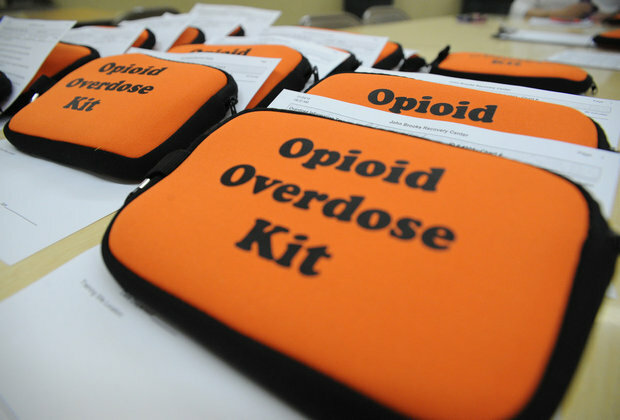 Laws limiting initial opioid prescriptions to five days and mandating that insurance cover certain lengths of stay will soon be on their way to the governor's desk. Mandating that insurance policies include a specific benefit requires striking the right balance between affordability and coverage. The severity of New Jersey's opioid problem calls for a comprehensive and serious effort that can only succeed if all of us join together to be part of the solution. I applaud the governor and legislative leaders for working to strike the right balance, engaging all parties to face the problem and advancing a comprehensive solution. Recovering addicts know that sobriety requires a lifelong commitment. Successfully combating New Jersey's addiction crisis will require nothing less. Robert A. Marino is president and CEO Horizon Blue Cross Blue Shield of New Jersey.